Something they want, something they need, something to wear, something to read…have you gotten your kids any books for Christmas yet? Books make the best gifts – a thoughtfully selected book will hold a child’s interest long after the new toys have been tossed aside. National Geographic Kids Books has eight new titles that are perfect gifts for the explorer in all of us. These books are all big, beautiful and definitely gift-worthy and sure to be loved by bookworms and reluctant readers alike. They are fun, visually stunning, totally engrossing AND educational (but don’t tell kids that last part!). 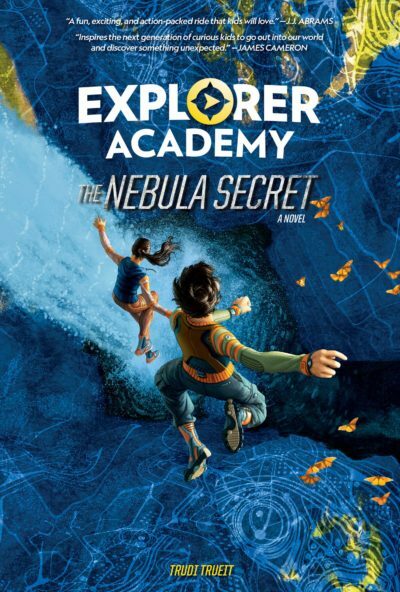 Adventure, danger, and a thrilling global mission await 12-year-old Cruz Coronado as he joins an elite school for explorers. Cruz leaves his tranquil home in Hawaii to join 23 talented kids from around the globe to train at the Explorer Academy with the world’s leading scientists to become the next generation of great explorers. But for Cruz, there’s more at stake. No sooner has he arrived at the Academy than he discovers that his family has a mysterious past with the organization that could jeopardize his future. In the midst of codebreaking and cool classes, new friends and augmented reality expeditions, Cruz must tackle the biggest question of all: Who is out to get him, and why? Never-before-published anecdotes from Aldrin and his family run the range of emotions — funny, sad, dangerous, hair-raising, heartwarming and inspiring — and provide a truly unique, behind-the-scenes look at the mission to the moon. Additionally, vivid photos, clearly marked diagrams, and elaborate pop-ups illustrate and explain the fascinating science behind this incredible story of human achievement and a build-your-own Apollo 11 lunar module is also included. Did you know that caterpillars liquefy when they turn into butterflies? That humans shed eight pounds of skin every year? That there’s a funky forest in Poland where all the trees are mysteriously crooked? That space smells like burnt plastic? Our world is filled with strange, bizarre, and weird realities. But what do they mean? WHY are they important? And what exactly is the secret behind them? With Q&As with in-the-field experts, fantastic infographics and exciting stories, this book takes readers behind the scenes of the truly bizarre, to reveal the truth behind our planet’s wildest and wackiest. Meet the mind-boggling bacteria that make Yellowstone National Park’s Morning Glory Pool pop with radiant color, discover the mysteries behind the Sphinx of ancient Egypt, learn how tornadoes are so powerful, and so much more! Welcome to the amazing world of creatures who prey on others for their survival: from high-profile sharks, lions, tigers, and bears to the tiniest ants, mites, and spiders. Every animal in this book is ferocious, fierce, and fantastic in its own way! With colorful photographs and fun facts, this easy-to-use encyclopedia features profiles accompanied by Did You Know details, and fast facts (including scientific name, size, diet, and habitat), as well as thematic spreads covering topics from predatory techniques to defenses and communication, and much more. The concept is simple. Got a question? Boy, do we have answers! Over 1,111 of them. Why don’t you keep growing your whole life? Check out the human body section. Why aren’t we traveling by jetpack yet? Tech has your answer. Why aren’t school buses red? Flip to the pop culture chapter. Why aren’t dinosaurs still alive? Why can’t you walk on clouds? It’s all there! With hundreds of topics ranging from silly to serious, we’ve got the expert information in a fun Q&A format that will keep kids digging for answers. Answers include all kinds of fascinating extra info like top 10 lists, weird-but-true facts, explorer profiles, and cool activities. Now, go stump your parents! Dog Science Unleashed shows kids how they can learn about science with the most faithful lab partner they’ll ever have, their dog! Twenty-two safe and pup-friendly activities let young scientists discover how their canine companions think, move, drink, stay warm, get clean and cool off. From determining your dog’s favorite smell to figuring out if your dog is a righty or a lefty, to making a stethoscope to listen to your hound’s heart, Dog Science Unleashed explores the science behind dogs’ senses, how they move, how they learn and much more. Each activity is paired with step-by-step instructions, clear and interesting scientific explanations, and photographs that illustrate important elements of the experiments and observations. Hands-on activities and fun information for budding scientists prompt further learning and offer a look at current, groundbreaking canine research. 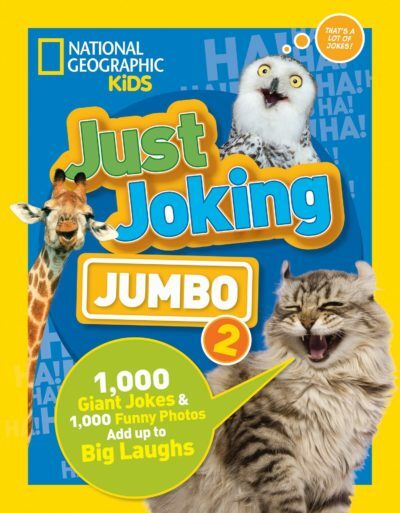 Kids will laugh their tail off with a jumbo-size, jam-packed joke book featuring 1,000 jokes and 1,000 photos. With silly facts that are strangely true, laughable lists, conversation jokes, and long-story jokes with hilarious endings, this full-color, supersize book include funny stuff about pets, technology, spooky sensations, adventures, around-the-world wonders, animals, myths and legends, dinosaurs, music, and treasure hunting. It’s the perfect combination of laughing, learning, and maybe jump-starting a career in comedy! 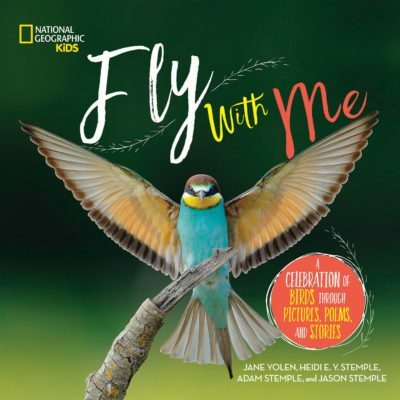 Fly With Me: A Celebration of Birds Through Pictures, Poems, and Stories ($24.99; ages 4-8) is a family affair, created by the iconic Jane Yolen and her three adult children, Heidi, Adam, and Jason Stemple. This thoughtful and beautifully curated collection of our flying, feathery friends highlights the role birds play in human life from centuries ago to the present day. While it’s beautiful and contains many original poems, it’s also full of valuable real science about these wondrous creatures. From history and behavior to spotting and photographing, there’s something for every bird fan in the flock. Young birders will learn all about migration and the importance of habitat conservation. They’ll find stories about bird rescues and fun facts about the fastest, strongest, and tiniest fliers. They’ll also discover the best bird nests, sweet songs to sing, ways to listen for and identify the birds around them, and more. Reader Giveaway: One lucky Jinxy Kids reader will win all eight books listed above. To enter, just complete the entry form below by 11:59 pm on 12/24/18. Good luck! Why Not? which is what she’s says everyday! My kids would love these books especially the Just Joking book. 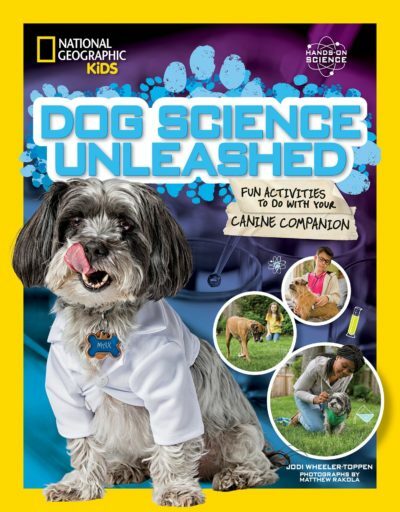 My nephew would love the Dog Science Unleashed book the best. I like putting gift cards in my nephew’s stocking. I would donate these to our school library and the kids would love all of them! I think my grandson would most enjoy reading Ultimate Predatorpedia: The Most Complete Predator Reference Ever. I think my granddaughter would like Buzz Aldrin – To the Moon. She loves everything science and space. My son would love Ultimate Secrets Revealed. He has a set of the Weird But True books and loves reading them. Knowing my daughter she would love all of these books and probably most enjoy the Why Not one the best! My son would love the Just Joking Jumbo 2. He already has one of their joke books and loves it. My nephew would like Just Joking Jumbo 2 . He loves jokes and laughs. Fly with Me would be loved and appreciated. Books are my favorite gift to give, especially to children. I still remember the first book given to me as a child (Aesop’s Fables). I loved reading it and wanted more books to read after that. We were raised watching & reading National Geographic and it’s wonderful to see some things from my childhood are still around and better than ever! Our grandsons love nature, science & are always reading and expanding their knowledge. They would be over the moon happy to receive this! Thank you for a great giveaway. Food luck to everyone! 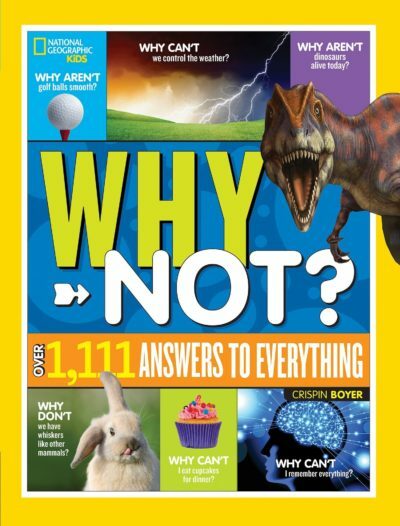 I think my kids would like the “Why Not?” book the best; they’re curious learners with LOTS of questions! My boys would love these books, we love reading! Dogs Science Unleashed – since they want a dog, I am certain that they will choose that book and let us know that they know EVERYTHING there is about a dog – but we will all enjoy any/all of them. To the moon is the one she would grab first, coloring books and candy go in her stocking. My grandson loves anything about space! ‘Fly With Me’ looks lovely! He would love reading Dog Science Unleashed. He just received his first dog and they are best of pals! My grandson would be most excited to read Just Joking. I want to read the answers to everything book! My nephew would love the Why Not? book. He’s always asking questions. I think my son would like the To The Moon and Back book, but they all look so interesting. My son would like the Why not book? My daughter would love the Ultimate Secrets Revealed! They would be most excited for dog science unleashed. i put socks and candy! My son would love the To The Moon and Back book! My son would like the book To The Moon and Back My Apollo Adventure because he loves everything to the with space. Ultimate Predator-Pedia sounds the best. That will make a great stocking stuffer. My kids would love learning about the moon so that would be their favorite book. My son would love the Why Not book. Thanks for the chance! My child would be most excited to read Dog Science Unleashed. Just Joking Jumbo 2 sounds fun. My kids love NatGeo books. My kids would like the Why Not? book. My nephew will enjoy Secrets Revealed. I like dog science unleashed! I think my middle nephew will be most excited to read To the Moon and Back: My Apollo 11 Adventure A Pop-Up Book, because he is fascinated with outer space. Thank you for the chance to win. Happy holidays! The kids would love the Just Joking book. They are always telling jokes they heard at school. 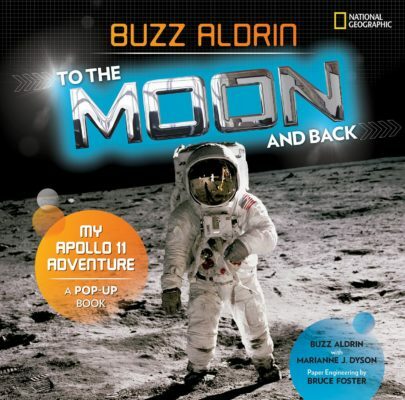 My kids love science and would love to read he To the Moon and Back: My Apollo 11 Adventure A Pop-Up Book by Buzz Aldrin with Marianne J. Dyson. It looks like a collector’s item that would be treasured for years to come. 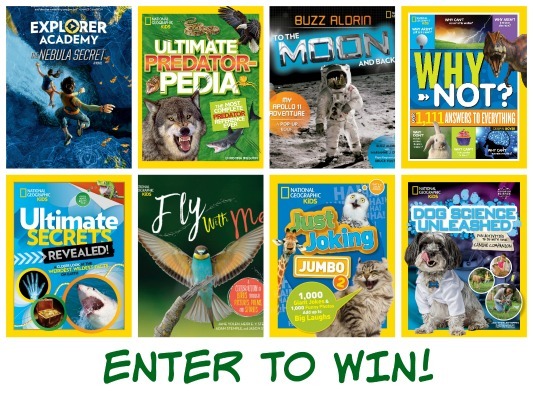 I think my grandson would be most interested in the Why Not or the Ultimate Predatorpedia books. 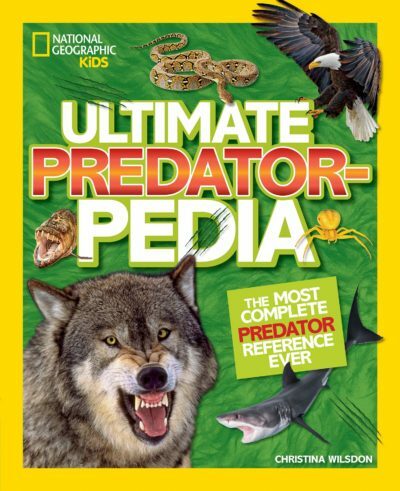 I think both my kids would like the Ultimate Predatorpedia the best. Thanks for the chance and we love these books! 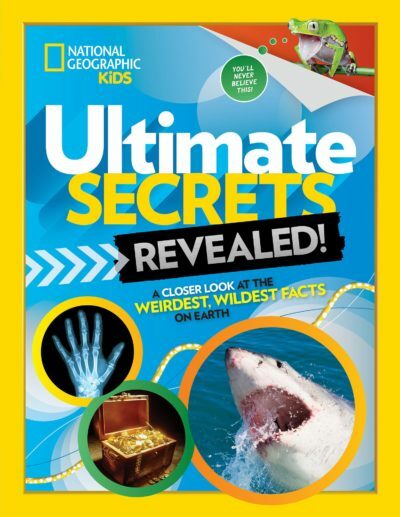 The Why not National Geographic kids edition my kids would be most excited to read. My daughter would love Why not series. Why Not? would be my book of choice! My child would be most excited to read Ultimate Secrets Revealed. My daughter would probably be most interested in Fly With Me. She really enjoys birds. Dog Science unleashed is the book we are most excited for. Guessing by the number of questions I answer in the day I imagine both of my kids would love National Geographic Kids Why Not? : Over 1,111 Answers to Everything. My nephew would like National Geographic Kids Why Not? : Over 1,111 Answers to Everything the most! I want to put creative gifts in my grandchild’s stocking that will make her think and will be used many times in many ways. My kids would love to read buzz aldrin to the moon. My daughter would love Dog Science Unleashed because she likes dogs. I usually put candy and gift cards in stockings. My granddaughter would love the book Dog Science Unleashed!